In this section of tradecredit.co.uk, we’ll look at some of the advantages of trade credit. If your firm has trade credit arrangements with its suppliers, you’ll obviously require less capital to operate your business. You could make payments to your suppliers within the decided credit term, upon receipt of payment from your customers. Thus, the business will continue to operate with lower capital requirements. Additionally, firms can then effectively leverage the capital towards activities such as acquiring new customers, enter newer markets, engage in product research to produce better products etc. Simply defined, cash flow is the amount of money coming into a business in comparison with the amount of money going out. A positive cash flow (i.e. 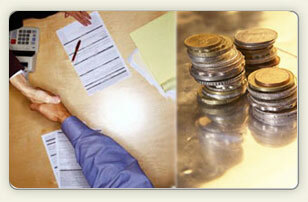 amount of money coming in greater than that going out) enables a smoother business operation. With trade credit, businesses can buy now and pay later – thus postponing the amount of money going out. Payments can be deferred as defined in the credit term and can be made on receipt from customers. With a trade credit agreement in place with suppliers, businesses can look to grow without the burden of immediate payments setting them back. Business growth requires investment - growth could be hampered if most of a business’ capital is spent in making payments. As mentioned in the first paragraph above, with trade credit, businesses can focus on activities like sales and marketing, research and new product development to further acquire new customers and enter new markets. Why go for trade credit than borrow from financial institutions? Borrowing from financial institutions like commercial banks represents the traditional channel of acquiring funds to cover the operating costs of a business. However, this may not always be the best choice, since financial institutions may not be accurately able to evaluate the risk associated with lending to businesses, especially small and mid – sized. On the other hand, suppliers may be better placed to understand the dynamics of business, evaluate and control the credit risk of their buyers. Trade credit creates a win – win proposition for both – buyers and suppliers. While buyers have the advantages discussed above, suppliers also have assured buyers for their products.